What's soft and cuddly and fun to touch? 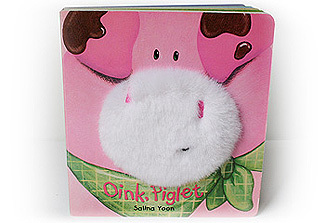 Oink, Piglet, an adorable book with a unique touch-and-feel cover! The book contains charming interior illustrations and a simple story that kids will love.